This April the CEO of Derma Contour Ms Patience Johnson will be teaching along side her USA and European experts, a 4 days course that would revolutionize the makeup industryin Africa. The Key focus for Patience Johnson is to contribute to raising the standard of makeup techniques in Africa. Derma Contour Beauty Academy's license is recognized across major International film industries and Fashion shows and it qualifies you to operate as a professional makeup artist globally. 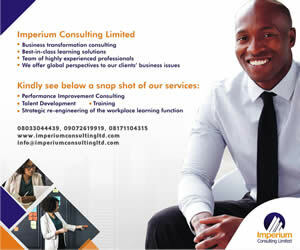 These fantastic courses by world class professionals only cost a subsidized price of N35,000 only. Booking packs will only be issued after payments. Please note that for us to deliver an effective practical driven training we will only be accepting a maximum of 50 seats. So book NOW! Bookings are made on a first come first serve basis. Only limited seats would be available for each state to enable us deliver a great hands on training. On receiving your payment alert, we would forward you an application form to fill or collect from our office, sign and scan back to us. All payments must be made via our Africa Partner: Ronnie Jacobs Enterprises, Skye Bank Plc, Act Number :1771268661. Once we receive payment we would forward you your registration forms via email with the full name of the Payer inserted. Location: Sweetlife Homes Hotel No 2 Ivory Street off 1st avenue behind AA rescue Jakand round about lekki lagos. ABUJA: Liaison office: No 3 Gamal Abdul Nasser Close, Besides World bank, Asokoro, FCT. Training Location: Harmonia hotel, Onitsha Crescent, Garkii area 2. Abuja. PORT HARCOURT: Liaison office: No 1 Chief Paul Obelly Street, Mbuma, Eleme. Training. Centre: Emerald Cafeteria Ltd. 193 Aba Road, Rumuola Port harcourt. BENIN: Liaison Office: No 30 Idahosa Street, Off Dawnson Road. Training Centre: Ofure Hilton Hotel, No 30 Idahosa Street, Off Dawnson Road, Benin. Website References: www.dermacontour.co.uk, www.dermacontour.de, www.ronniej.co.uk. LAGOS: Tues 2nd - Friday 5th April. ABUJA: Mon 8th - Thursday 12th April. PORT HARCOURT: Mon 15th - Thursday 18th April. BENIN: Monday 22rd - Thursday 25th April.